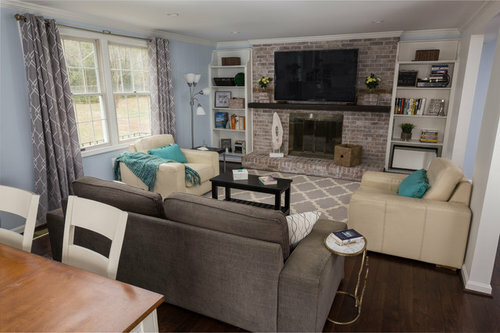 How did you hide the wires etc for the TV with the brick fireplace? Ran them behind the wood mantle and drilled hole into bookcase, there are all kinds of ways to stealthily Hide wire. There is a product called flat wire that can be used on drywall and painted over. I want to design interior of my house.I try to hide electrical wiring & switches,but not success. "need urgent help for wiring of screen and ceiling projector"
Need advise where to keep TV in house..